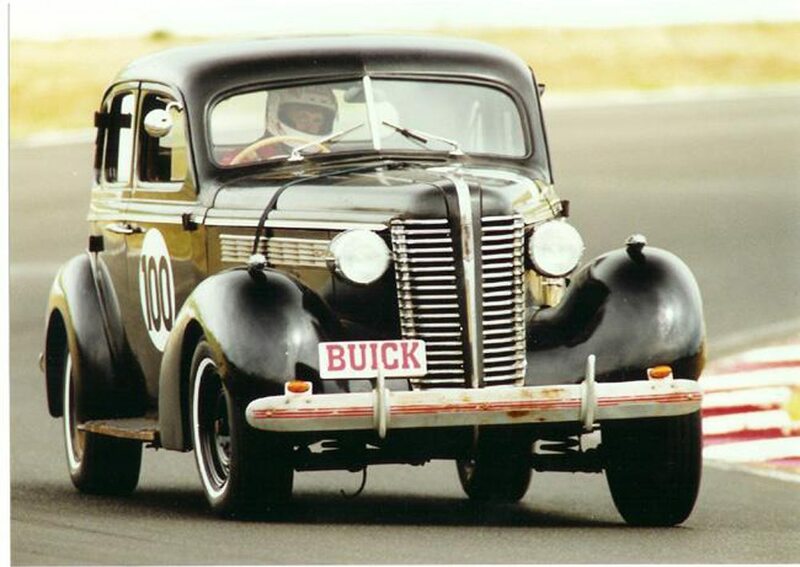 Club member Ron Neale participating in a Regularity Trial at Eastern Creek Race way. Ron normally competes in a High performance Nissan, when he decided that he wanted a bit more of a challenge so he purchased a 1938 Century for the job. Ron said the car handled extremely well for what it is, and after a couple of laps he found that there was no need to change down to second gear for the corner as the enormous torque of the Century engine he got as good results leaving it in top gear and just point it at the corner and hang on. Ron is also a member of the Historic Sporting Car Club, and the popular choice of cars are things like MG’s, Jaguar’s and Austin Healey’s, so you can imagine the interest when a 1938 Buick rolled up and as Ron told the other Drivers at drivers briefing, “I have two ton of car with heaps of power and at this stage I don’t know if it will stop so give me room”. 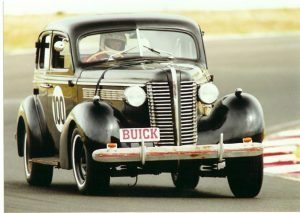 So if you are interested in seeing a 1938 Buick on the limit the next meeting at Wakefield Park is sometime in November, I am sure Ron can let you know the Date.